“Life insurance makes a tremendous difference in the quality of a business or the lives’ of loved ones should something happen to a primary breadwinner or key business person,” he says. “It should be easy to purchase, easy to understand and it should be affordable – but unfortunately, that is usually not the case. I think there are too many people who should be adequately covered who are not. 1. 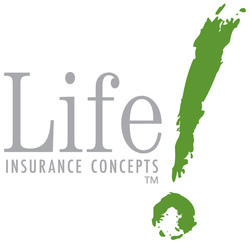 Life Insurance can be purchased without sales commissions. Many insurance policies have commissions for the agent built into the policy by the insurance company. These are non-negotiable, even by the agent, and are usually not disclosed to the buyer. Without those built-in commissions, the performance of a life insurance policy is superior; creating an option every life insurance buyer must be aware of today. These “no-load” policies are purchased from experienced agents. No load does not mean “no agent.” Instead of built-in commissions, consulting fees are paid to agents who charge fees that are disclosed and transparent. The fees do not increase the premiums or affect the cash value performance. 2. For the first time since Ben Franklin introduced life insurance more than 200 years ago … life insurance buyers can now choose an installment option to determine how the proceeds of their life insurance policies are paid to their beneficiaries. Until the deferred installment option was available, the only payout choice was a lump-sum, which some policyholders worried would be more than their loved ones could handle. An even bigger benefit, however, is that deferred payout gives insurance companies more time to hold the funds, which reduces premiums as much as 50 percent for the same amount of insurance with a lump-sum death benefit. This gives policyholders the option to purchase an amount that will better cover the needs of their beneficiaries. 3. Deferred payouts provide a guaranteed source of income that’s not affected by market fluctuations. The Installment Life Option, which we have created and introduced to the market, allows policy owners to create a protected, ongoing source of income for their beneficiaries that is not affected by market or economic conditions. Options include proceeds paid in guaranteed, pre-determined amounts over a period of years. The structure is a “win-win,” because the provider is guaranteed more time to pay out proceeds, and the savings are passed to the consumer in the form of lower premiums, or more benefits. Ted Bernstein has been a consistent innovator in the life insurance industry. A native Chicagoan, one of Ted’s most notable accomplishments was having the honor of acting as Muhammad Ali’s life insurance agent.